I wrote this post for my monthly Get Born submission, but since there are issues with it loading properly, I wanted to share it here too. 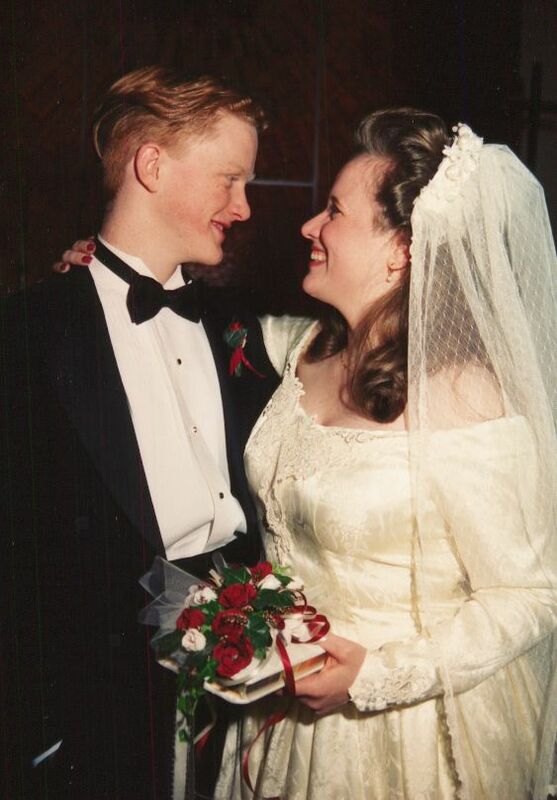 Today is Jim and my 18th wedding anniversary. We’ve been a couple twenty years this Friday. I think that’s something to celebrate! Enjoy. When Jim and I married, I was twenty, he was barely twenty-one. We’d already lived together for two years, but we were still so very young. I don’t pretend, even after all this time, to have any quick tips or easy revelations for making marriage work. Our success is equal parts love, commitment and good fortune. The love and commitment has gotten us through the bad times and made us stronger. The good fortune is that we ever found another person who complements us each so well. The idea that one partner rescues the other seems silly. There are no white knights, and princesses are truly un-American. It’s a farce that tramples mutual respect. Yet, it seems so many girls become women who still want to be rescued. They want a fantasy, not a marriage. I’ve seen so many women set themselves up for disaster thinking they’re escaping themselves through marriage. If they don’t see themselves or their partners as complex people and begin from a bedrock of respect, they are bound to be disappointed. Yet when I hear people say that “marriage is hard work,” I don’t readily agree. Marriage can be hard work, but it shouldn’t be that hard every day, all the time. If it’s that much work, then I don’t think it’s working. Marriage certainly is a partnership. It definitely requires love. But I think, more than anything else, what make a successful marriage is a balanced combination of mutual respect and self respect. If you respect yourself and you and your partner respect each other as autonomous human beings, and then you add love to the mix, success is likely. I want my husband to do what makes him happy. I have faith in his love for me, and I know that his what defines his happiness always takes me and our children into account. I want to do what makes me happy, and I know that my happiness takes my husband and children into account. We are here to help each other along the journey of becoming the people we want to be and complementing each other. Yet, we all know that the only person ultimately responsible for individual happiness is the individual self. One must never lose one’s true self in marriage or family if one is to be happy and contribute to a family that is happy as well. If a woman or man doubts that the individual’s family does not support that individual’s happiness, it may be that the family members do not respect the individual. However, I’ve found far more often that unhappy people simply don’t respect themselves. That lack of self-respect has a impact on everyone around that person. I believe my marriage is well-formed and sound because through twenty years we’ve helped each other nurture our self respect, and in that journey our respect and love for each other has only grown. We are two whole people who’ve formed a union that makes us each stronger and more committed. We have succeeded because we wanted to be together above all else, and like two trees, we’ve grown around the obstacles and encroachments in our lives to become entwined without loosing our roots or our identities. 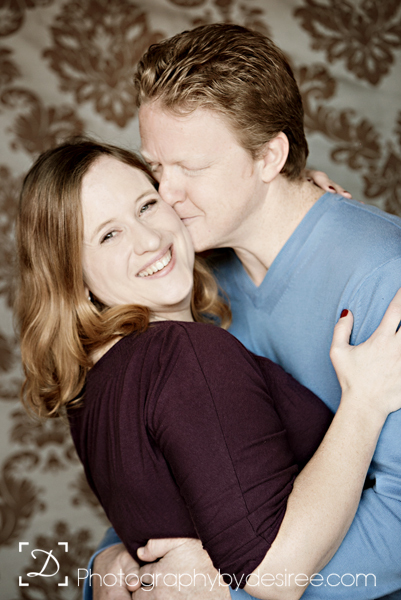 My husband and I are two different people, and the contrast is more striking and more significant because we can hold each other without obscuring ourselves. We started out parallel saplings, but we’ve grown into powerful trees, providing shelter and shade for our children to become who they will be. We have for ourselves enough space yet to grow both together up and away into interests and accomplishments that are uniquely mine or his. The freedom to grow away and the security to grow together makes us each more self-assured in the years to come. So, on my anniversary, if I were to give any advice to young people contemplating marriage it would be respect yourself and partner with someone who respects him/herself. As long as you love an respect each other, the rest will follow. Yes, I’m lucky, so very lucky, that at the tender age of eighteen that I found a person I could love and respect, who fostered my own growing self-respect and took what I could offer to grow his own. But everything after that is all on us. I know the whole R-E-S-P-E-C-T thing isn’t as passionate or romantic as some wild burning love affair. But passion and romance have nothing on the power of respect in sustaining true and lasting love. When you see an old, I mean really old 90+ year old couple, do you think they are any less in love than the teenage couple making out in front of the mall? No, they are more in love because they truly know and respect each other. Their arthritic hand-holding bespeaks a love greater than all the Romeo and Juliet hyperbole ever could. The architecture of love depends on the stability of both parties. When they support each other evenly, a sound structure will arise. Happy Anniversary Jim, I love you with all my heart. Give it away, give it away, now . . . Although I disagree that Romeo and Juliet is a hyperbole, I congratulate you on your marital bliss! Lovely! Congrats on 18 years and thanks for the excellent advice. I think you’ve found the perfect recipe for a successful marriage!